“Can we change to other cultivation methods that are much more ‘common’?” Yun Xi felt that his body was like a rusty machine of gears, groaning with creaking sounds and pain. “Oh, what kind of cultivation method do you like?” Casina looked at him curiously. At present, he was so tired that he didn’t even want to move a finger. Teaching students according to their aptitude is also very important. “I did several rounds of limit practices before.” He answered honestly. One thousand push-ups, one thousand sit-ups, one thousand squats, and ran a hundred kilometers and brandish sword for ten thousand times. It was a classic limit practice that could only be finished after using up all one’s strength. If he didn’t use the Green Hippo’s Seed to refresh himself, he probably couldn’t finish one round of limit practice. “Limit practice… you mean that…” Casina shrugged her shoulders and touched his head with a pity. Fortunately, it’s not too late to stop that practicing method. No, it’s not a bad practicing method, however, there is a strong side effect with it. Well, I don’t need to tell him about it. Anyway, with my guidance, he doesn’t need to practice that skill that would make him lose hair… cough, cough, that secret skill with a strong sequela. “Well, can you try push-ups first?” It was such a basic practicing method, but it was undeniable that it was a thoroughly tempered skill that worked best for mankind. “Ok.” he stretched out his arms and legs. He found that his resilience had really been increased and the rhythm of his breath had also been changed. The blessing of the Water God was changing his body unconsciously. This process was still ongoing. Hydra was still with him. “One, two, three…” Yun Xi naturally put his hands on the ground and started to do push-ups. After three times, he felt something heavy was put on his back, instantly, a fragrance with alcohol and the feeling of warm skin came from his back. “Call me teacher from now on. Keep going.” Casina stretched out her toes and stepped her feet on the acupressure points on Yun Xi’s back. “Gee?” An aching cold feeling spread throgh his whole body from his spine. He couldn’t help but emit a strange groan from his mouth. His body parts that were being stepped on by her shivered and twisted. He found out with shame that his body had a reaction that should never appear at this moment. She smiled and tapped her foot at the back of his neck. Her naked toes didn’t contain any smell of sweat but had a nice smell like a blooming flower in the dry desert. “Remember, this is the second position of the basic Battle God Genre: Treasure Ship Style.” Compared to the first position Sitting Duck, which was used to increase the resilience of one’s body, the second position Treasure Ship Style requires a higher coordination degree of all body parts, especially the connection points of joints. If Yun Xi practiced without any guidance, he would probably hurt himself. Casina didn’t like the disciples who learned by rote but liked the disciples who learned using their own body. Through her toes that were pressing on his back, she guided his body to shake regularly. His hands supported by the ground and his body shook like a tiny boat in a tempestuous storm. “Ha… ha…” he felt as if he was being drowned in an endless sea. His hands were indeed supported by the ground, but he could feel that the whole world was shaking. No, it wasn’t his imagination. The area around him was indeed shaking like in a storm. She could even reverse the rules of the sky and earth, to accomplish this was just a piece of cake for her. “Don’t stop, keep moving!” Once his moves slightly slowed down, she would scold and punish him relentlessly. Once her soft toes increased strength on his back, he would feel a mind-blowing pain like a ship that was going to fall. However, every time “this ship” would really fall, she would infuse new energy into his body and let him feel the cold feeling on his back, arousing him from a faint. Therefore, he had to suffer the circulation of dying, being saved by her energy, dying over and over again. This kid is more tenacious than I guessed! Sitting on his back and drinking the wine from time to time, she observed his performance with surprise. Generally, people with great talents were prideful, so they didn’t like to pay too much attention on fundamental training. None of her disciples were common people. They were all great geniuses in the eyes of the public and after becoming her disciples, they became more confident and rushed courageously when learning her skills. However, only when they did fundamental training, they all thought that it was unnecessary and didn’t need to pay too much attention to it. In some sense, they were right. As super geniuses with godlike talents, they could understand the elements of combat skills three times faster, or even faster, than ordinary people, and they also knew the importance of laying a good foundation for their bodies. This was the reason why they could be Casina’s disciples. Since I have built a wonderful foundation for my body, I don’t need to waste more time on this. They all thought. 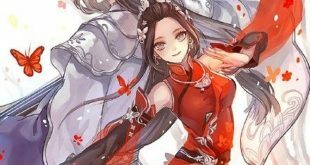 “It would be great if they can be patient like you.” Casina shook her head at her past disciples, although they were already good enough in the eyes of others. There is no “enough” when building a foundation for one’s body, it’s a work of a lifetime! When my previous disciples understand this, they will finally find the door of the legend rank and create their own godlike martial arts. Compared to them, this little guy can even use my Magnificent of Sky Dance, and he is still practicing hard on the basic positions of Sitting Duck and Treasure Ship Style. Probably he himself hasn’t realized what a great talent he has. The blessing from Hydra can’t be something simple. “The ship is going to capsize!” Yun Xi felt as if his hands were pressing on the sea surface. His body was so limp that he couldn’t even squeeze out one last bit of energy. His strength had given out after the long practice! Casina leapt back to her throne and looked down at him, who was lying on the floor faintly.